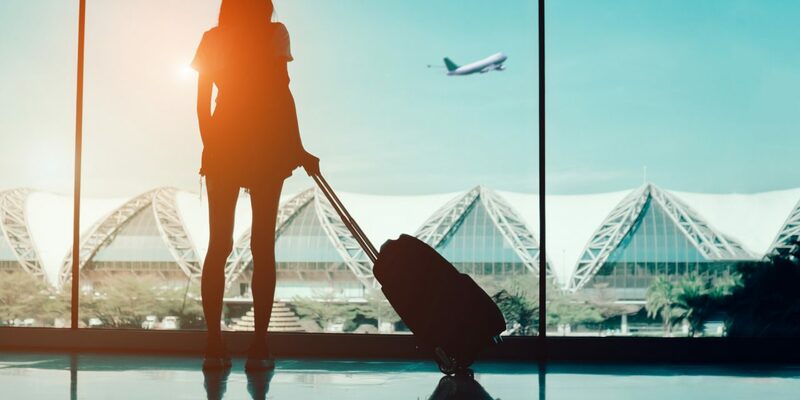 Fewer international homebuyers are searching for their next home in the U.S.
1.8% of all home search traffic originated from outside the U.S. in the third quarter (Q3) of 2018, down from 2% a year earlier, according to Trulia. This continues a consistent downward trend in international home search traffic. This is of special concern to California, home to the largest share of foreign-born residents in the U.S. Here, more than one-in-four residents are born abroad, according to the U.S. Census. As a major hub for current international residents, it’s no surprise that many international home searches are focused in California. But this share has declined along with the U.S. share of international home searches, from capturing 15.9% of all International-to-U.S. home searches in Q3 2017 to 15.1% in Q3 2018. 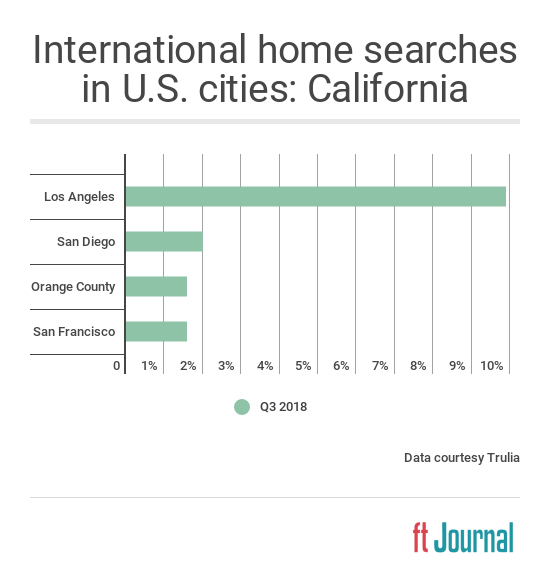 This chart shows nearly 10% of international home search traffic on Trulia is for homes located in Los Angeles, which captures the second-highest share of international searchers in the U.S. after New York City, which received nearly 11% of Trulia’s international search traffic in Q3 2018. After Los Angeles, popularity from international searchers drops dramatically in San Diego, Orange County and San Francisco. Still, these rates represent thousands of potential foreign-born homeowners across California. Where are these international home searchers coming from? In nearby San Diego, the largest share of international searches (25%) come from neighboring Mexico. Each year, more California residents leave for other states than enter. But California’s adult population continues to grow. This growth is due entirely to the state’s success as a destination for international migrants. many pre-existing pockets of international migrants across the state. Real estate professionals can capitalize on this growing population by becoming involved in those pre-existing international communities. This may include partnering with members of local communities that have international connections and speak the language of the international community they are aiming to work with. Real estate agents and mortgage professionals can also familiarize themselves with the mortgage qualification process for homebuyers lacking U.S. citizenship. For example, learning the process to take out an individual tax identification number (ITIN) will help potential homebuyers begin the mortgage application process. Micro-level steps like these will help grow the client base of proactive agents. It will also continue to make California an attractive place for international migrants, crucial if the state is going to continue to grow. NextLetter to the editor: What makes first tuesday different from other real estate news sites?